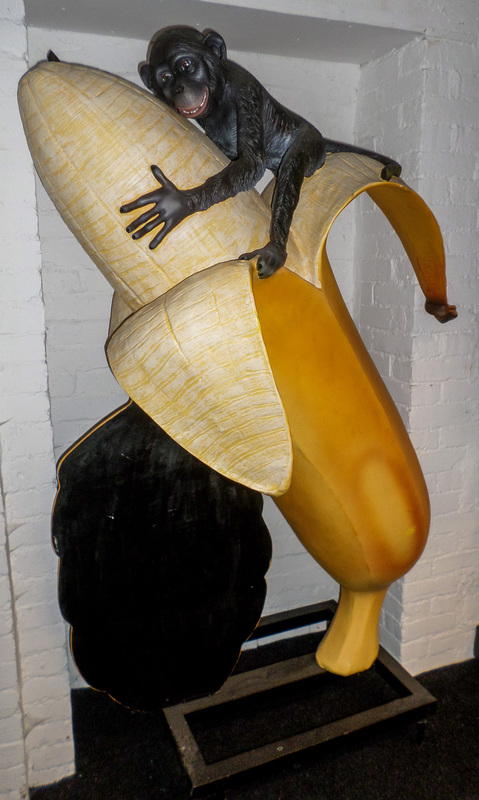 Our large 6ft tall banana and monkey figure with black-board is a super fun way of attracting people to your restaurant, pub, farm shop. This great banana and monkey model is a dramatic & attention grabbing way to draw people into your business or make your shop stand out from the competition. The model comes with a removable black-board for promoting your prices, menu or specials.